Born and educated in Hong Kong, Elizabeth Sinn is a historian with a general research interest in Modern China and Hong Kong and special interest in the history of charity, business, culture, the press and migration. Before retiring in 2004, she was the Deputy Director of the Centre of Asian Studies (University of Hong Kong) and a member of the University’s University Research Committee. Outside the University, she was a member of the Humanities Panel of the Hong Kong Research Grants Council. For many years she served on the Antiquities Advisory Board and was Vice-President of the Royal Asiatic Society (Hong Kong Branch). She is an Honorary Advisor to the Hong Kong Museum of History. Between 2006 – 2013, she led the Hong Kong Memory Project to produce an online platform for materials on Hong Kong’s history, culture and heritage. Currently she is writing a second book on the history of the Bank of East Asia. 2017 “Introduction”, in Elizabeth Sinn and Christopher Munn, (eds. 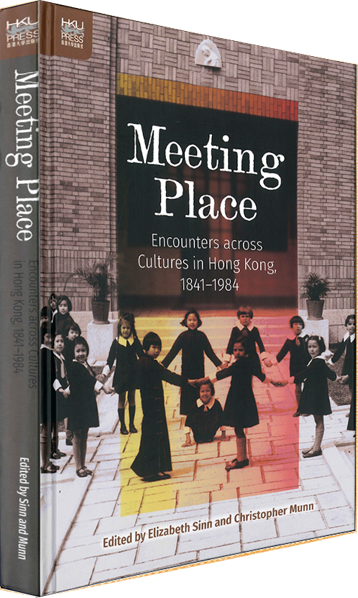 ), Meeting Place: Encounters Across Cultures in Hong Kong, 1842 – 1984 (Hong Kong: Hong Kong University Press) pp. ix-xix. 2017 “Wang Tao and the ‘Chinese Other’”, in Elizabeth Sinn and Christopher Munn, (eds. ), Meeting Place: Encounters Across Cultures in Hong Kong, 1842-1984 (Hong Kong: Hong Kong University Press), pp.1-22. 2017 “The Pacific Ocean as Highway to Gold Mountain: The Hong Kong Connection, 1850-1900”, in Lon Kurashige and Eiichiro Azuma, (eds. 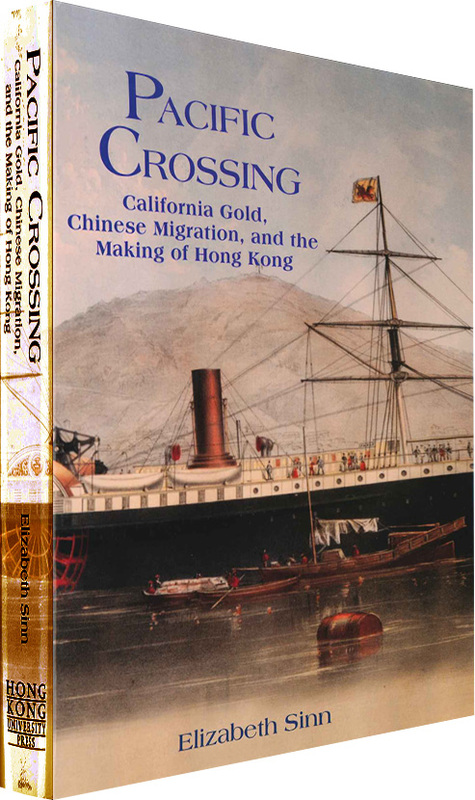 ), Pacific America: Histories of Transoceanic Crossings (Honolulu: University of Hawaii Press), pp. 47-61. 2014 “Pacific Ocean: Highway to Gold Mountain”, Pacific Historical Review, vol.83, no. 2 (May) pp. 220-237. 2011 “Hong Kong as an In-between Place in the Chinese Diaspora, 1849-1939”, in Donna R. Gabaccia and Dirk Hoerder, (eds. ), Connecting Seas and Connected Ocean Rims. Indian, Atlantic, and Pacific Oceans and China Seas Migrations from the 1830s to the 1930s (Leiden and London: Brill) pp. 225-247. 2009 “In-between Place: A Paradigm for Hong Kong Studies”, in Elizabeth Sinn, Wong Siu-lun and Chan Wing-hoi, (eds. ), Rethinking Hong Kong: New Paradigms, New Perspectives, (Hong Kong: Centre of Asian Studies, University of Hong Kong), pp. 245-304. 2009 “Recentering Hong Kong: The Chinese Business District and Economic Development West of Pottinger Street”, in Veronica Pearson and Ko Tim-keung, (eds. ), A Sense of Place: Hong Kong West of Pottinger Street (Hong Kong: Joint Publishing (H.K.) Ltd., pp. 184-200. 2008 “Lessons in Openness: Creating a Space of Flow in Hong Kong” in Helen F. Siu and Agnes S. Ku (eds. ), Hong Kong Mobile: Making a Global Population (Hong Kong, Hong Kong University Press) pp. 13-43. 2007 “Moving Bones: Hong Kong’s Role as an ‘In-between Place’ in the Chinese Diaspora” in Sherman Cochran and David Strand, (eds. ), Cities in Motion (China Research Monographs, IEAS, University of California, Berkeley) pp. 247-271. 2007 “Women at Work: Chinese Brothel Keepers in 19th Century Hong Kong”, The Journal of Women’s History (fall 2007) pp. 87-111. 2005 (with Wong Wai Ling), “ Place, identity and immigrant communities: The organization of the Yulan Festival in Post-war Hong Kong”, Asia Pacific Viewpoint, vol. 46, no. 3 (Dec.) pp. 295-306. 2005 “Preparing Opium for America: Hong Kong and Cultural Consumption in the Chinese Diaspora”, Journal of Chinese Overseas,vol.1, no.1 (May) pp.16-42. 2002 “Emerging Media: Hong Kong and the Early Evolution of the Chinese Press”, Modern Asian Studies, vol.36, no.2, pp. 421-466. 1999 “Cohesion and Fragmentation: A County-level Perspective on Chinese Transnationalism in the 1940s”, in Leo Douw, Cen Huang and Michael R. Godley, (eds. ), Qiaoxiang Ties: Interdisciplinary Approaches to “Cultural Capitalism” in South China (London and New York: Kegan Paul International and Leiden and Amsterdam: International Institute for Asian Studies) pp. 67-86. 1998 “Fugitive in Paradise: Wang Tao and Cultural Transformation in Late 19th Century Hong Kong”, Late Imperial China, vol.19, no.1 (June) pp. 56-81. 1997 “Philanthropy and the Business World”, in Wang Gungwu and Wong Siu-lun, (eds. ), Dynamic Hong Kong: Business and Culture (Hong Kong: Centre of Asian Studies, University of Hong Kong) pp. 230-252. 1997 “Xianggang shehui yu shehui zhuanbian” 社會組織與社會轉變 (Social organization and social change in Hong Kong), in Wang Gungwu, (ed. ), Xianggang shi xinbian 《香港史新編》 (A New History of Hong Kong) (Hong Kong: Joint Publishing (HK) Ltd.) pp. 157-210. 1997 “Xin xi guxiang: A study of Regional Associations as a Bonding Mechanism in the Chinese Diaspora” Modern Asian Studies, vol. 31, no.2, pp.375-398. 1997 “The Study of Local History in Hong Kong: A Review”, Journal of the Hong Kong Branch of the Royal Asiatic Society, vol. 34, pp. 147-169. 1995 “Liushi niandai - lishi gailan” 六十年代 ── 歷史概覽 (A historical survey of the sixties), in Matthew Turner 田邁修 and Irene Ngan 顏淑芬 (eds. ), Hong Kong Sixties. Designing Identities 《香港六十年代. 身份、認同與設計》 (Hong Kong: Hong Kong Arts Centre) pp. 80-83. 1995 “Emigration from Hong Kong before 1941: General Trends”, in Ronald Skeldon, (ed. ), Emigration From Hong Kong (Hong Kong: Chinese University of Hong Kong) pp. 11-34. 1995 “Emigration from Hong Kong: Organization and Impact”, in Ronald Skeldon, (ed. ), Emigration From Hong Kong (Hong Kong: Chinese University of Hong Kong) pp. 35-50. 1995 “Yan Fu”, in Chan Sin-wai and David E. Pollard, (eds. ), An Encyclopaedic Dictionary of Chinese-English/English-Chinese Translation (Hong Kong: Chinese University Press) pp. 429-447. 1994 “Chinese Patriachalism and the Protection of Women in 19th Century Hong Kong”, in Maria Jaschok and Suzanne Miers, (eds. ), Chinese Women and Patriarchy: Submission, Servitude and Escape (London & Hong Kong: ZED Books and Hong Kong University Press), pp. 141-167. 1994 “Dui jinxing lishi wenhua kaocha di yi xie jianyi” 對進行歷史文化考察的一些建議 (Suggestions on local history and culture research) In Xianggang lishi wenhua kaocha 《香港歷史文化考察》 (Research on local history and culture in Hong Kong) (Hong Kong: Hong Kong Institute for the Promotion of Chinese Culture and Joint Publishing (HK) Ltd), pp. 3-15. 1991 “Yan Fu as Translator: A Textual Criticism of the Tianyanlun”, in Liu Ching-chi, (ed.) Fanyi xin lunji (New Essays on Translation) (Hong Kong: Commercial Press), pp. 359-366. 1990 “The History of Regional Associations in Pre-War Hong Kong”, in Elizabeth Sinn, (ed.) Between East and West, pp. 159-186. 1987 “Kowloon Walled City: Its Origin and Early History”, Journal of the Hong Kong Branch of the Royal Asiatic Society, vol. 27, pp. 30-45. 1984 “Materials for Historical Research: Source Materials on the Tung Wah Hospital (1869-1896) ── the Case of a Historical Institute”, in Alan Birch, Y.C. Jao and Elizabeth Sinn, (eds. ), Research Materials for Hong Kong Studies, pp. 195-223. 1982 “The Strike and Riot of 1884 ── A Hong Kong Perspective”, Journal of the Hong Kong Branch of the Royal Asiatic Society, vol. 22, pp. 65-98. “Index to CO 129 (1841 – 1951)”, a digital and online index to the British Colonial Office Records on Hong Kong. Hong Kong Memory Project (www.hkmemory.hk), an online platform for materials on Hong Kong’s history, culture and heritage.